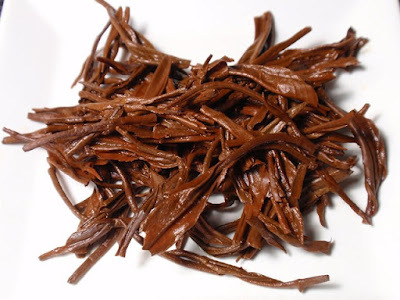 Product Description: Long pine needle style China Yunnan black tea - roasty grain nose, cocoa undertones. The dry leaves have an aroma of aged wood and grains and a hint of grape. 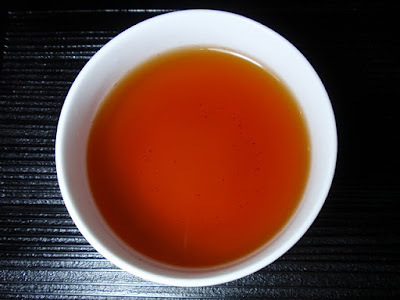 The amber red infusion has a rich aroma of plums, cocoa, and a hint of roasted vegetables. 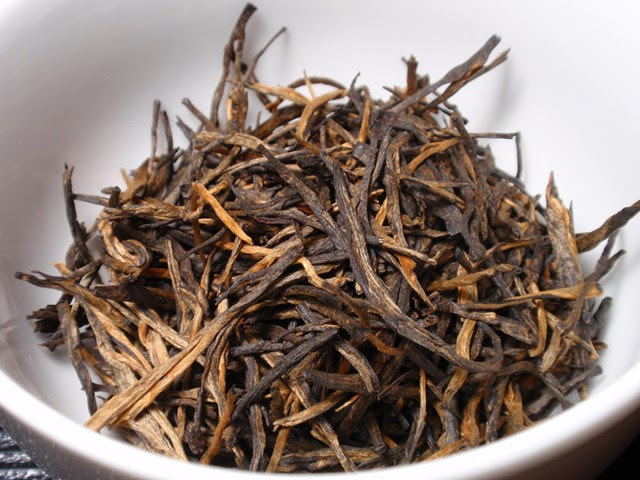 The taste is rich and earthy with notes of cocoa, a hint of fruit, moderate astringency and a dry fruity finish. While the full character is in the first steeping, a second steeping produced a slightly less nuanced yet still enjoyable flavor and aroma.